Stephanie Smith Diamond is an American writer, editor, runner, hiker, traveller, and expat, who has travelled throughout the United States, Europe, Asia, and Africa. I have only just met her, and I’m looking forward to reading her book, which seems to have evolved a bit like mine (HERE). When I was thirty-two years old I stepped off the plane for the first time in Africa. I’d travelled all over the United States and Europe but now found myself in Bujumbura, Burundi, in the middle of the night, and it was a completely new experience for me. Despite having grown up in places with warm, humid summers, the warmth and humidity shocked me as I walked across the tarmac. The night was pitch black aside from a few orange-glow sodium lights along the runway. Everyone around me spoke French and, while my textbook French should have been sufficient for making conversation, after about thirty hours of travel I was too exhausted to even try. My husband stayed close to me in the crowd and I allowed myself to be swept along. I was numb with sensory overload and I still remember the suffocating feeling of the darkness, trepidation at not having even a clue as to what the landscape around me might look like. Where there skyscrapers? Mud huts? Jungle? Mountains? Were we on the edge of the lake? Would it look like a movie? And if so, was it more African Queen or Casablanca? I was so overwhelmed I wanted nothing more than to curl up in bed and cry. I felt like I’d failed at being in Africa on my first day there because my mind automatically went to assumptions and I wasn’t brave enough to ask questions. Seven years later, I’ve now had plenty of time to ask my questions, dispel my assumptions, and have adventures. I’ve been not only to Burundi, where I lived for two years, but Rwanda, Tanzania, and Kenya. I ended up loving Burundi and every time I land in any African country I feel at home. I prefer the chaos of a small airport in Bujumbura or Bamako to their larger American counterparts. My French is merely passable but I find comfort in hearing it spoken around me as part of the usual background noise. Give me my jeans and a backpack over a suit and a briefcase any day. I’ve been to the top of Mount Kilimanjaro and I’ve kept my eyes peeled for fossils at Olduvai Gorge. 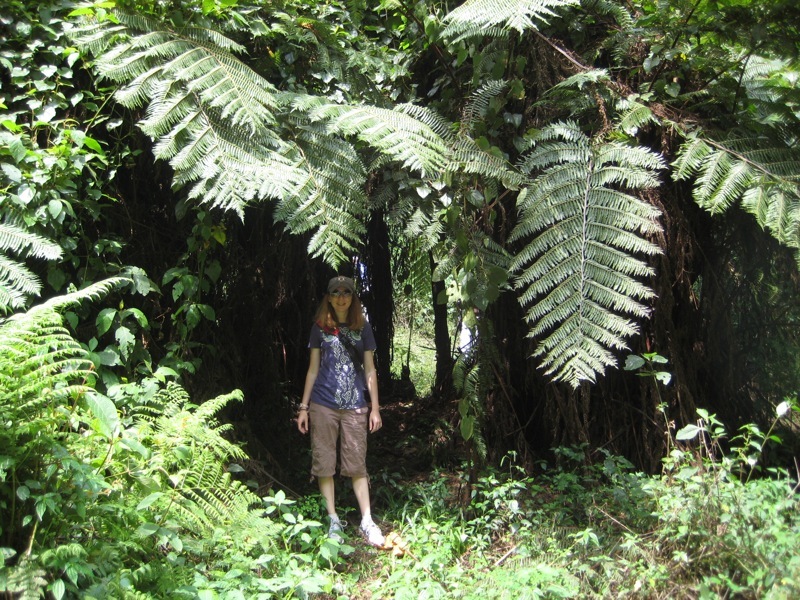 I hiked through the primeval forest of Kibira. I’ve swum in Lake Tanganyika. I’ve visited the Great Mosque in Djenné. I’ve learned to think of Nairobi as being a kind of mini-America, because it has malls, movie theaters, and English-language bookstores, which are a great treat when you’re living away from those things for years on end. I currently live in Mali, with my husband and my daughter, Djenné. At the beginning of this year I intended to write a memoir of my time in Burundi. It evolved into a work of fiction that will be published later this month. After years of professional freelance writing and editing, Mountains Never Meet is my first novel. I wanted to write something just for me, something that’s not dictated by a client. It’s the story of a young American woman who is brave enough to take that first trip to Africa by herself. The novel has absolutely nothing to do with Burundi, taking place in Kenya and Tanzania, but I draw on my experiences as a traveler and expat to hopefully tell a realistic tale of adventure and romance. Connect with Stephanie on social media for updates. This entry was posted in Authors and tagged Africa, Bamako, Bujumbura, Burundi, India, Kenya, Mali, Mount Kilimanjaro, Olduvai Gorge, Rwanda, Tanzania, trqaveller. Bookmark the permalink. Stephanie Smith Diamond is the guest blogger today on Jane Bwye’s blog. I had the privilege of reading her manuscript in near final draft and loved it. I hope you’ll consider adding it to your nightstand when it’s released. Review to come when it’s readily available. Thankyou for the feedback, and the re-blog! I am looking forward to reading the book.